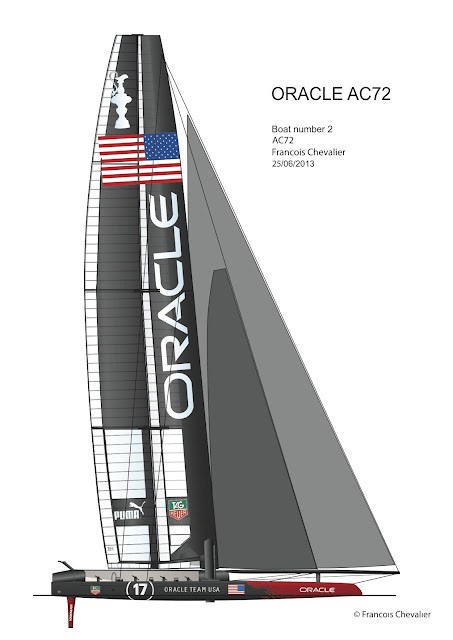 Here is the latest version of ORACLE TEAM USA AC72 second boat wing-sail with it new setting! 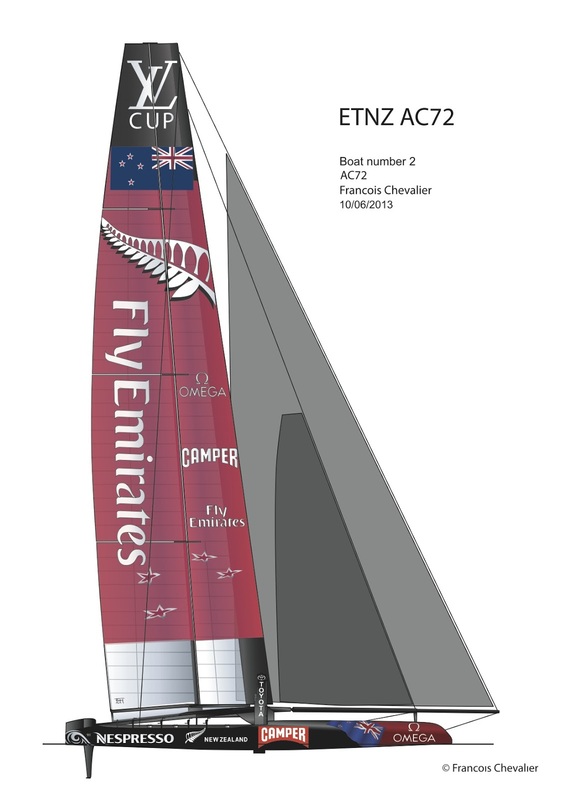 As we move into the Louis Vuitton Cup (it will begin in 9 days) and the America's Cup (in 74 days), we will regularly update the drawings of the different teams. 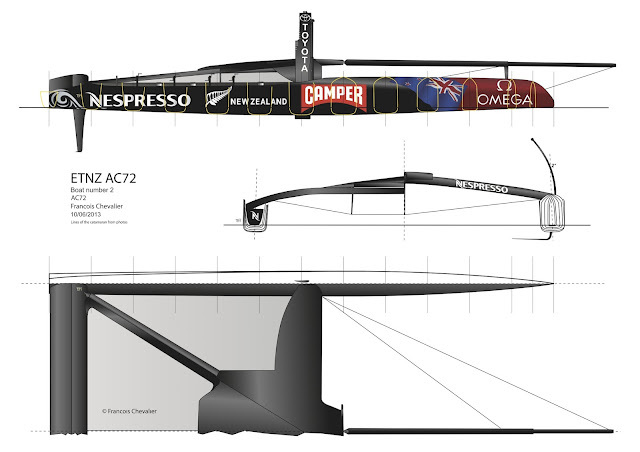 Today, it's the case with the second New Zealand catamaran.